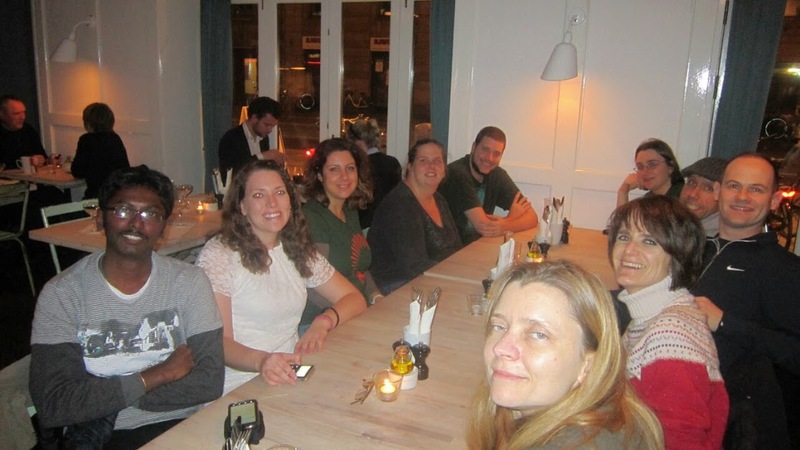 I’m fully recovered from my first Ubuntu Developer Summit in Copenhagen! It was an experience I’ll never forget and definitely made an impact on my passion for Ubuntu and open source software. It was wonderful to finally meet some of the faces I see online and the names I respond to in emails. 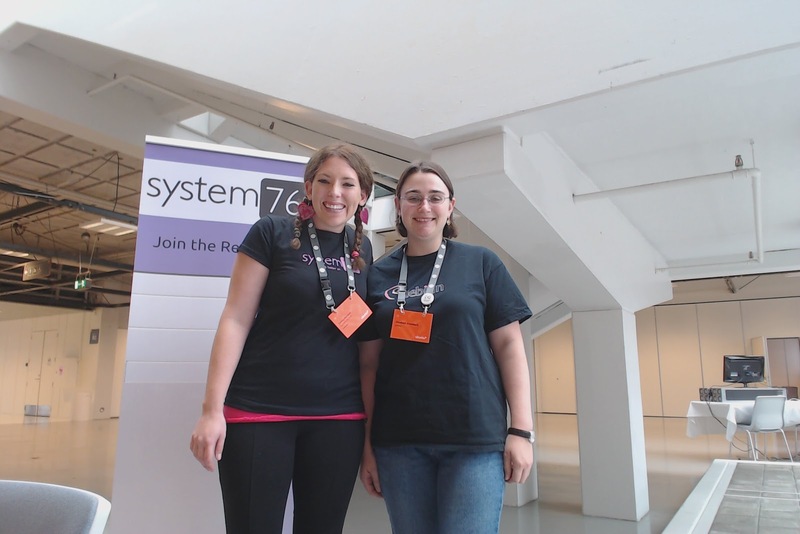 I was able to meet a handful of System76 customers and Ubuntu LoCo group leaders who participate in our free sticker program. Jose Antonio from Ubuntu Peru and Sergio from Columbia were very friendly! I had the opportunity to sit in on the Leadership Council session and discuss some initiatives that improve LoCo team presence, as well as specific advice for the Ubuntu Colorado team. My favorite part of the summit was meeting Lyz Krumbach from the Ubuntu Women group. 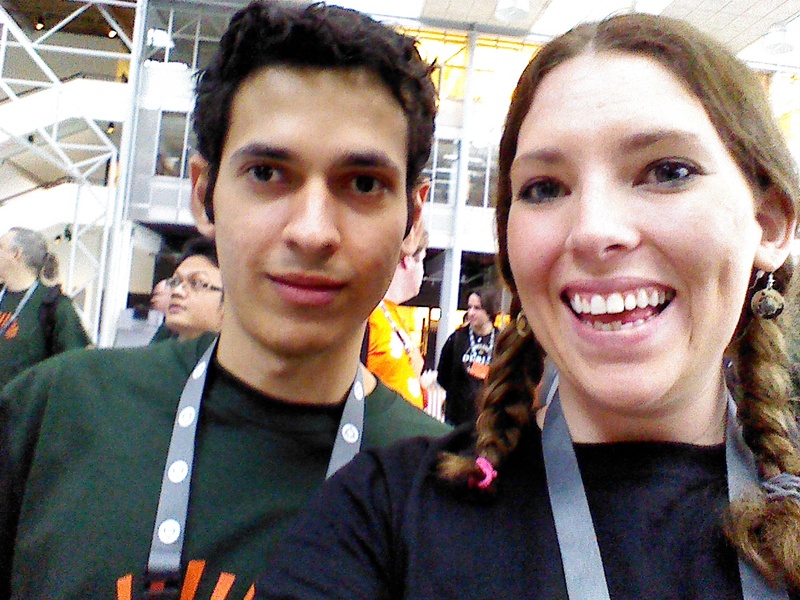 She was the first person to welcome me into the Ubuntu community and helped point me in the right direction to get involved. Lyz recently went to Ghana to deploy 100 desktop computers to schools in need. She is an excellent leader and a great asset to the Ubuntu community! Meeting Flavia Weisghizzi from Italy was an exciting experience as well. She contributes to Ubuntu through public speaking and various methods of inner and outer communication projects like marketing and translation. She instantly offered specific advice on public speaking and walked me through her timeline and some of her best moments. She was recently covered in Full Circle Magazine, where she explained her goals to mentor and encourage individuals who want to communicate effectively at talks and conferences. The Ubuntu Women dinner on the 3rd day of UDS was filled with laughs and meaningful discussions. The food was pretty tasty but the company was the best part. 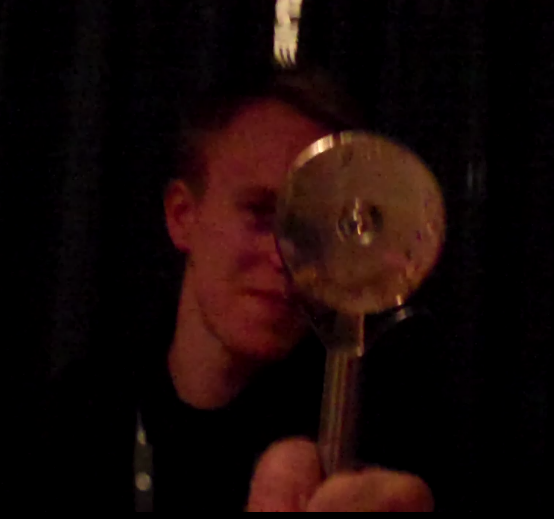 It was hysterical when TMT and Mohi informed us that they’d never used or seen a pizza cutter before. The restaurant was quite dark, but I tried to snap a photo of them both as they tried to use the utensil. TMT tackles the pizza cutter! 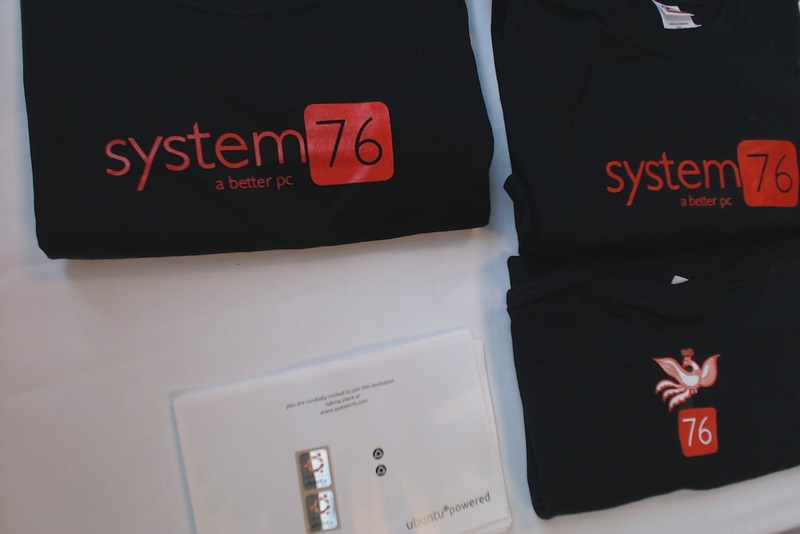 Ian and I passed out some free System76 Quantal Quetzal T-shirts and Ubuntu stickers. 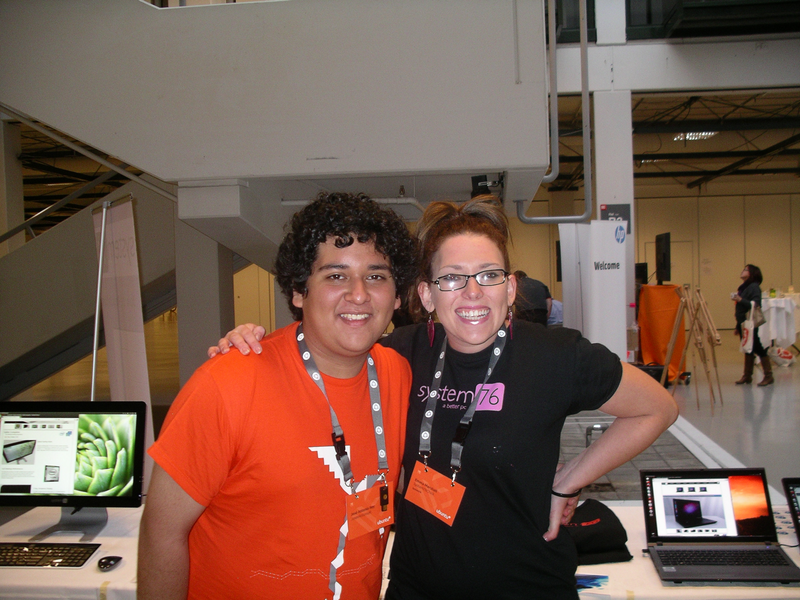 Carl Richell, CEO of System76, designed the intricate quetzal on the back of the shirt. It’s definitely one of my favorite T-shirts I own :) In fact, I’m sporting one right now! 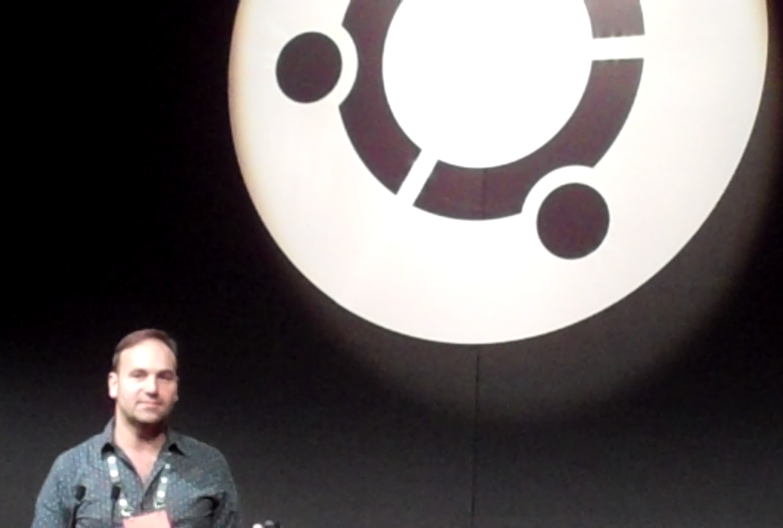 Mark Shuttleworth, founder of Ubuntu, took a minute to check out our Sable Complete. I was walking toward the booth to finish setting up for the day and I had the new All-in-one in my arms. He examined every inch of the system and stopped at the 76 logo. He asked me what the 76 stands for and I told him- The 76 stands for the American Revolution of 1776. It stands for freedom. 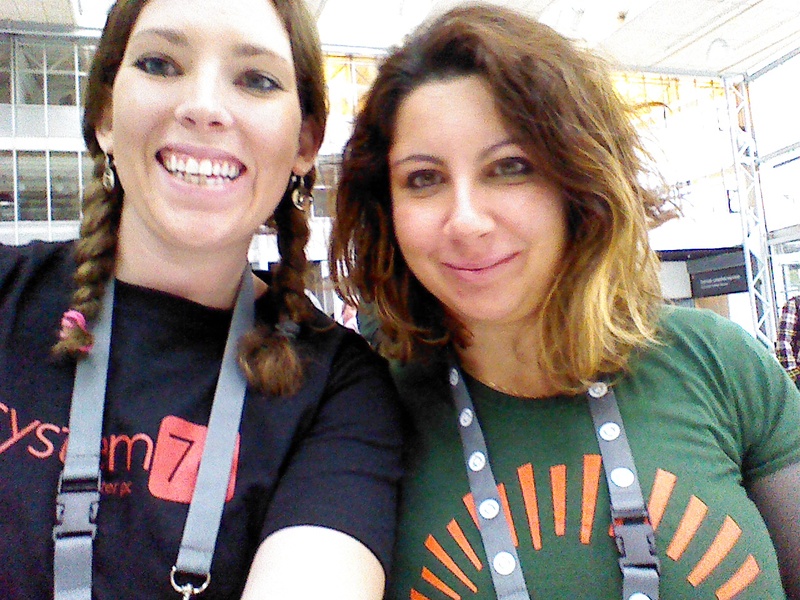 After my first Ubuntu Developer Summit representing System76, I’ve realized that I’m truly part of something. I can’t wait to see what’s next!